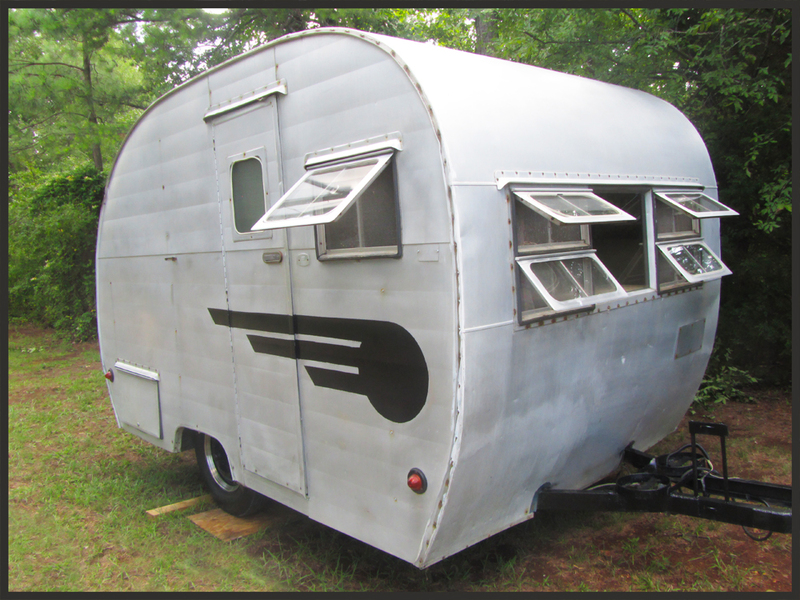 This is my little camper that could. She is 60 years old according to the build certificate in the closet which confirms she rolled off the line as a '54 model in December 1953. She is snug as a bug in our barn and close buddies with the 1976 Serro Scotty HiLander right next to her! If you are into vintage retro items like I am, then you know that simple things like a canister set from the 1950s can be quite pricey! The aqua set below just recently listed on eBay. Not in my budget! 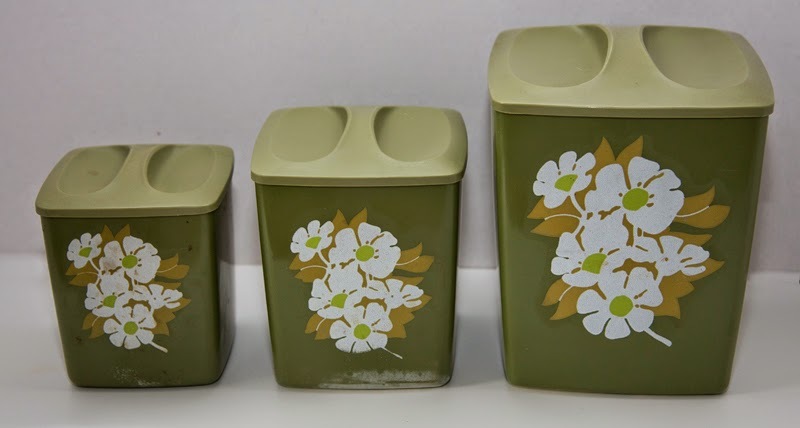 I want an aqua canister set, preferably one with the "atomic" designs that were so popular in the 50's and 60's for my wee vintage canned ham camper. Since I couldn't find (or afford) exactly what I wanted, I decided to take matters into my own hands. This 3-piece avocado green canister set was priced at a little less than $3 (with my little old lady discount) at Goodwill. It was the right price, but not the right color or design. But I had an idea because my thinking cap was on. I had been thinking... This is where my hubba-hubba-hubby usually says, "Uh-oh". Yes, I had been thinking about how this green set could be re-born in aqua! 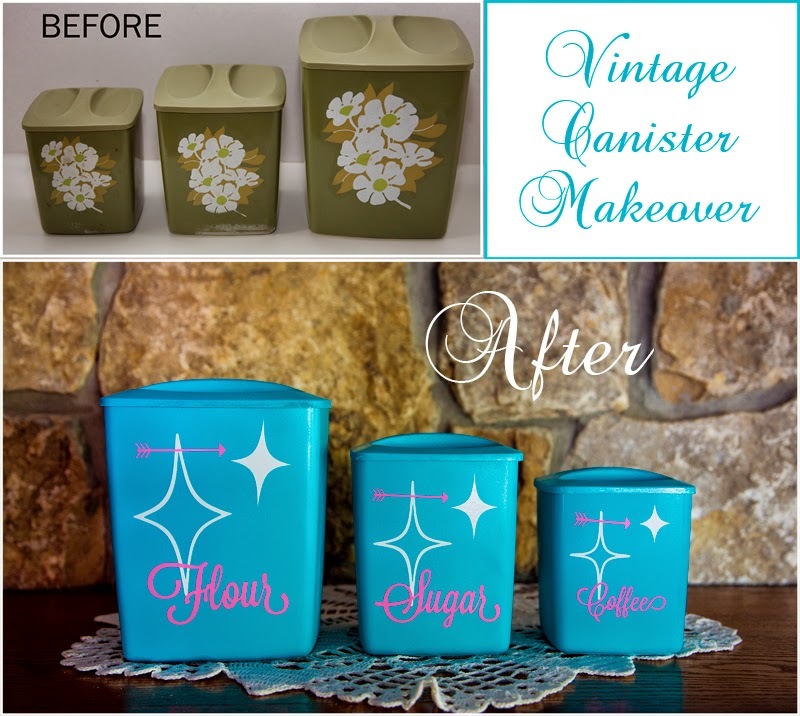 An Extreme Canister Set Makeover.